Hello! I'm Teacher Janice. I believe that I could help you to enjoy learning English here in Native Camp because of the experiences I got from my previous job and from my university years. Let's work on your communication skills and explore the realm of the language. I can't wait to see you in my class! 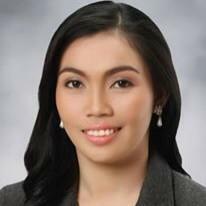 Teacher Janice is a graduate of Bachelor of Secondary Education major in Mathematics. Teaching has always been her passion and her dreamed profession. She always believe that in teaching, it's very important to let the students engage in different activities that would make the students interested in learning. She is a patient, friendly and an approachable kind of teacher. She always make sure that the students will be learning a lot and at the same time will be having fun. Thank you for your lesson. And thank you for your patience for our bad internet connection. I enjoyed your lesson.